I don’t think we’ve ever shared an office chair as a deal on the site before, but I’m all for changing that. You see, it’s possible that some of you are sitting at your computer reading this, just as I am sitting at my computer writing this. The point is, being comfortable if you sit at a computer all day is important, but not only do I want my chair to feel good, I want it to look good, too. 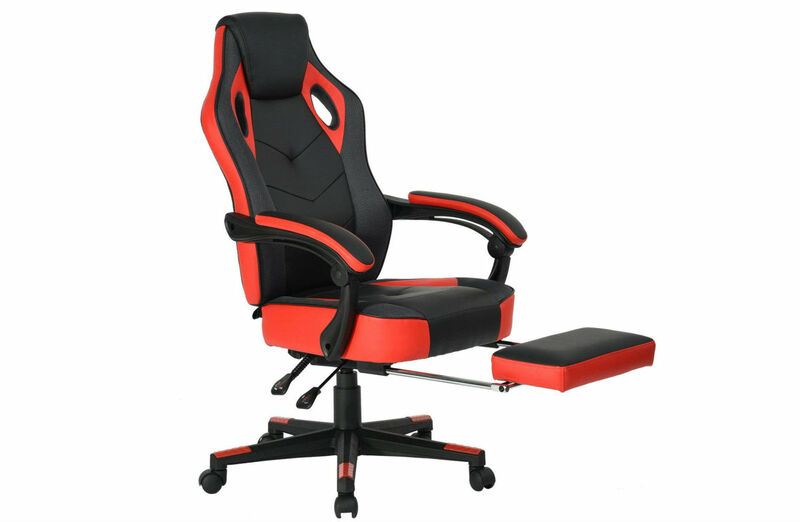 If you’ve watched any online streamers in the past couple of years, you’ll know that these racing seat-style computer chairs are all the rage, and over on Amazon currently, you can get one for just $108 with a coupon code, $51 off the usual $159 price. I’ve never ran down the specs for a chair, but according to the listing, we’ve got a reclining/adjustable backrest and fixed cushion armrest that adapts to the backrest, non-reflective materials for your livestreaming needs, plus a footrest that slides out from under the chair for maximum snooze capability. I’m not here to judge your sleeping habits at work, but if you need something like this, now seems like a good time to pull the trigger.